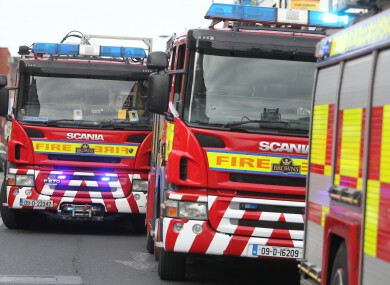 A MAN IN his late 80s has died after being injured in a fire at his home in Co Clare yesterday evening. Emergency services were called to the home in Meelick, south-east Clare at around 5.55pm. The two men, named locally as Joe Quinn, aged 89, and his son Seamus Quinn, aged in his 40s, were airlifted in two helicopters to Cork University Hospital (CUH). Joe Quinn accidentally fell into a fire he was lighting inside the house at the time, reliable sources said. He suffered “extensive burns” to his body and his conditions was described as “serious” last night. Gardaí confirmed this morning that the elderly man has since died in hospital. Seamus Quinn also suffered burns having gone to his father’s aid. His condition, whilst serious, was not thought to be life-threatening last night. His current condition remains unclear. A file will be prepared for the coroner, according to gardaí. Email “Elderly man dies after suffering 'extensive burns' at house fire in Co Clare”. Feedback on “Elderly man dies after suffering 'extensive burns' at house fire in Co Clare”.